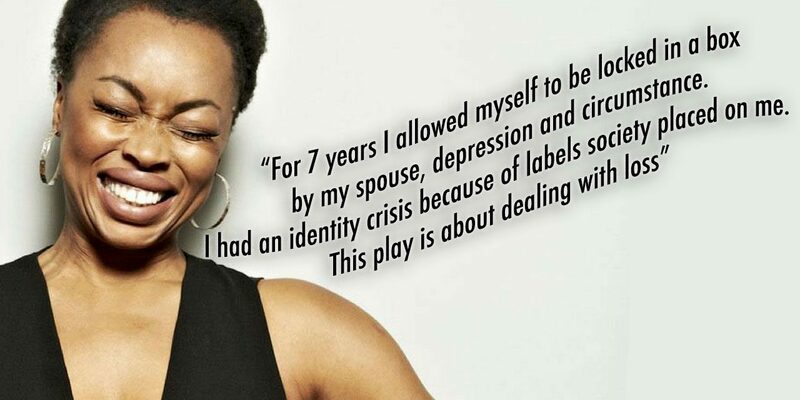 Identity Crisis is a comic tale which examines Phina Oruche’s observations on what others have made of her black identity as she worked her way through being fashion model, actress, radio presenter and writer in a world of fickle media. Inspired by the sudden death of her 19-year-old niece at her home in 2011, then followed by a series of racial and international incidents happening throughout the world and in her life. 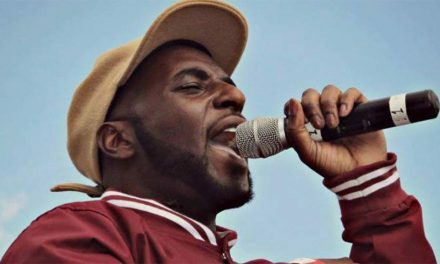 Identity Crisis helped Oruche turn a mess into a message. With a modelling career that boasts her working alongside supermodels Naomi Campbell, Kate Moss and Cindy Crawford and acting credits which include Buffy the Vampire Slayer, NYPD Blue, Charmed, Diagnosis Murder, The Unit, Doctors, Footballers Wives, Hollyoaks and The Bill not many of the new generation will know Oruche as one of the UK’s leading British black talents to take on America. 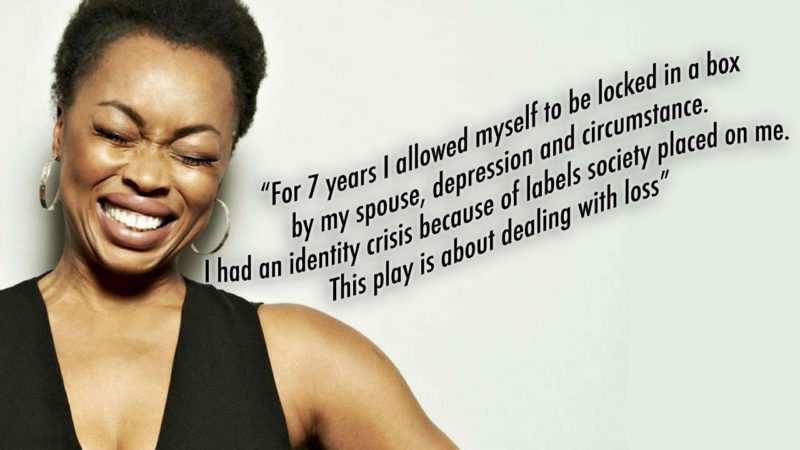 1# Tell us about Identity Crisis the play what’s it about and who are the main characters? The main characters are; Sir Bobby Blue, director of a large 62 media establishment; Rasta, a street emperor in his 30’s; Mama Nukku – a flamboyant 70-year-old religious woman who has had to fight for everyone, especially her daughter; Amy Tan, a working class white girl aged 18 who is image-obsessed with scouse brows, massive lashes and a spray tan; Mary the middle-class white widow who’s relied on her husband her whole life and now has to cope alone; and another character named Antonio de Silva, who is a greasy haired gorgeous 29 Italian immigrant. I had a ball playing these people! I am adept at character and mimicry as I have a phenomenal ear and so was able to put those specific traits that I love to great and funny use. I think you get more from people when you tell them a story and make them laugh in the process, I also think that being a Scouser and having that madcap sensibility was part and parcel. 2# So many characters, how did you come up with them? The process I can’t explain, but I usually start with the voice. Now that was aided particularly by the fact that I wrote them and was emboldened by not having to guess the writer’s intention, but a lot of it just came to me. The hardest part was playing the older white male. 3# How were you able to decide each character’s distinguishing traits so the audience would believe them? I did loads of regional nights funded by the Arts Council, so I knew immediately based on the places that I had taken my show, that these common working class stock, many of whom are not traditional theatregoers do not pull punches. When I started to get the feedback on the forms, I realised it resonated with all ages, all creeds, all colours. It was then, I knew I was on to something. I am grateful because I was losing hope in the racial question. The play is about dealing with loss. The loss of my niece, the loss of my mind through grieving for my niece, the loss of my position through objecting about the segregated radio stations that I was working on. I was stalked and I have been robbed by a white middle-class confidence trickster called Sean Smith, who specialises in intellectual fraud. My marriage was also failing, so I was done. I had an identity crisis because the external labels society places on you such as mother, wife, actress, friend, radio presenter, all collapsed. Also, international incidents affected me; the multiple deaths of my American brothers in police custody, starting with 11-year-old Tamir Rice who could have been my son, and Sandra Bland who could have been my sister or one of my friends, so for the first time in life all I had to cope with failed me; I struggled to get up. 5# Great art is often borne out of pain, your one-woman show is evidence of this, how did you channel your pain into this project? It was accidental actually, I felt like I needed life support as everything around me was dying. 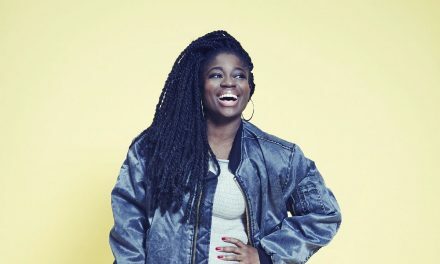 I was locked in a situation where I couldn’t work, couldn’t leave my son… I went back to university to study a Master’s degree in media where I chose to research black representation because I was initially trying to find out if these experiences were as a result of me, or something bigger, something systemic. I was asked to write a one-woman show by Professor Roger Shannon. I really didn’t want to, but he pushed and I am forever in his debt. 6# How deep did you have to go to find the story and how were you able to compartmentalise the more sensitive parts with understanding the bigger picture in bringing the play to life? I didn’t have to go deep at all. I was scrubbed raw by life and it was all on the surface and came out in just the one session. I am free so I write as I find. Working with the amazing dramaturg Bill Hopkinson made me keep to a tight deadline and re-invest constantly. 7# You are one of our greats, extremely recognisable but not usually a name mentioned when listing great British black actors/esses… has this at all contributed to your personal identity crisis? Thank you, that’s very kind of you to say! I have mismanaged my career in that I allowed myself to be locked in a box by my spouse, depression, and circumstance for 7 years. Now, as a result, I have a brilliant child so I am very thankful. My niece’s death made me reflect on my own life, it made me want to mother like never before as I suddenly realised this little bundle was my only hope. So I grasped my son so tightly, made everything revolve around him as you just don’t know the day or the hour, how long you have got. It made me an incredible mother, instead of passing him to others to be reared whilst I pursued my career, I quit, and I grabbed hold of all the chances to teach him to ride a bike, bake a cake, watched his football game. I really paid attention to him and I doubt I would have done that otherwise; if it wasn’t for seeing the preciousness of life. The journey for me is starting again now, I think you’ll hear a lot from me. The praise of man whilst nice is not what ultimately propels me. 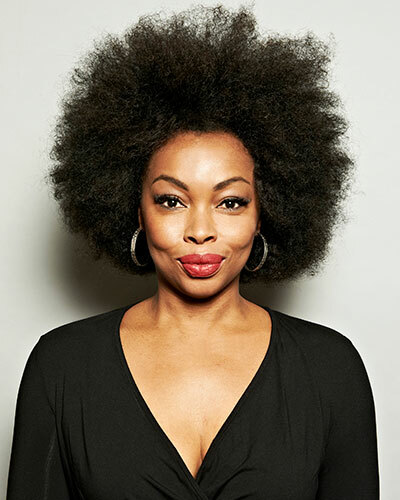 8# What has your journey been like as a Black, British, Nigerian actress, did you ever try and crack America? There is no such thing as cracking America. That’s a media concept, for if there was then I accomplished that early. I cracked America before anyone even had the concept to do so, and in that, I have represented many international campaigns over the years in my twenties the GAP, Avon, Neiman, Marcus, etc. on bus and billboards all over the globe, likewise with my US TV credits. 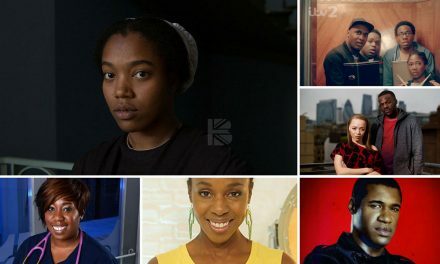 Black people do not hold the British media’s attention unless they are from The States or have made a big dent there, so there are a lot of people who have done really well and who the media does not write about because they are quietly doing their craft, and are not attention seekers. 9# You’ve been in so many renowned British productions, which was most impactful and which gave you the best acting experience? Without a doubt Identity Crisis, the buck stops with me, writing, producing and performing the characters. I am normally madly in love with whatever I am working on or else I won’t do it. I have learned a lot from the failures too, Hollyoaks was a profound failure. It took me forever to get over that one. 10# Where are you now as an actress and personally, and what can we expect after Identity Crisis ends its run? I am sharp in my gift and hope to take the play to NYC. As a writer, I have begun another piece where I will be playing one part. I would also like to direct. Identity Crisis transfers to London’s Ovalhouse from 9 – 13 May 2017. Find out more and book tickets here. 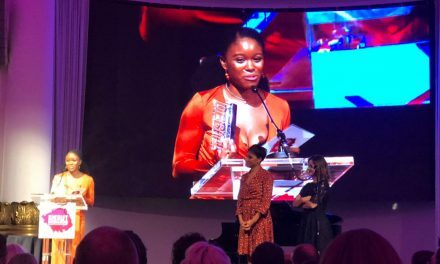 Amara Okereke Wins at the Debut Stage Awards!